Mainspring could not accomplish all that it does without volunteers. Water, land, office – no matter your interest, there is a place for you! Read more and decide where you want to plug in. We ask that you complete a volunteer form so we have updated information of your interests and availability. Help Dr. Bill McLarney assess stream health by sampling fish. Opportunities are available for groups as small as two and as large as 10 during this fun and educational half-day event. Some volunteers can also assemble data using MS Access for post season compilation of results. When: Sampling occurs any day Tuesday-Saturday from mid-May through July, three days/week. Data entry can be done post-season at your leisure. 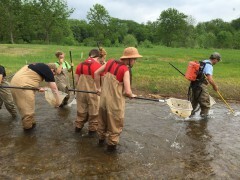 Skills Needed: Ability to stand in running water, lift nets from streams. All equipment is provided and no experience is necessary. For data input, MS Access knowledge is helpful. A healthy stream relies on good shade, and you can help! Mainspring plants tree seedlings and live stakes alongside streams in order to keep the aquatic habitat cool and happy. 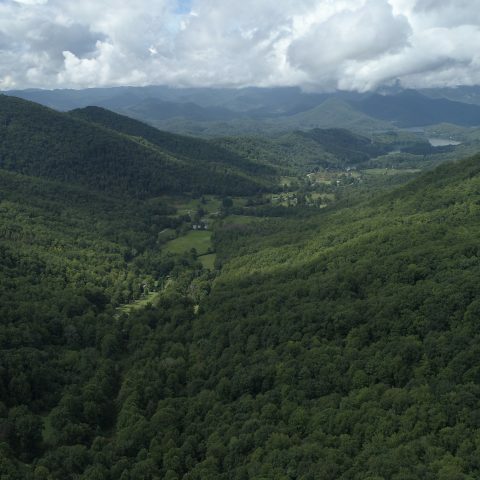 Led by Southern Appalachian Raptor Research (SARR), this program samples breeding birds at two sites along the Little Tennessee River by monitoring breeding bird productivity and survivorship by trapping, measuring, and banding birds. When: Throughout the summer, usually beginning in May and lasting until early August. This happens once every 10 days, from sunrise to noon. Where: A site to be determined in Macon County and another in Cherokee County. Skills Needed: Ability to withstand warm, humid weather. 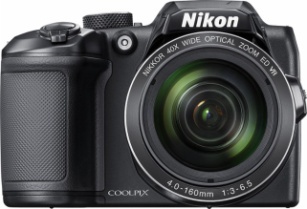 Interest and skill in photography useful. Training offered on site. All equipment is provided; you’ll want to bring water and a camera. 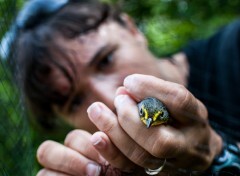 Tasks include checking mist nets, transporting birds to and from banding station, and data entry. Calling all dirt diggers! 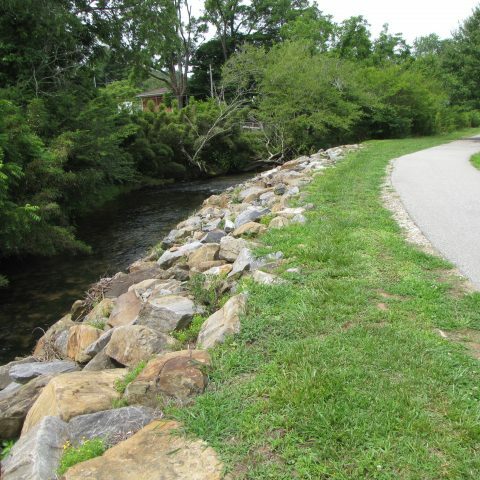 Work ranges from mowing, weed-eating, trash cleanup, invasive species removal, stream restoration (tree planting), boundary marking and trail construction and maintenance and landscaping on Mainspring properties around the region. Volunteers in this area are in reasonably good physical condition. Volunteers are assigned to their preferred area of stewardship depending skills and the needs of the organization at the time of placement. When: Year-round, with group work-days organized monthly during dormant season (October-April) with scheduled rain dates. Where: On Mainspring properties in Macon and Cherokee Counties, as well as private lands under conservation easements. Needed: Bringing your own equipment is helpful but Mainspring has some to borrow. 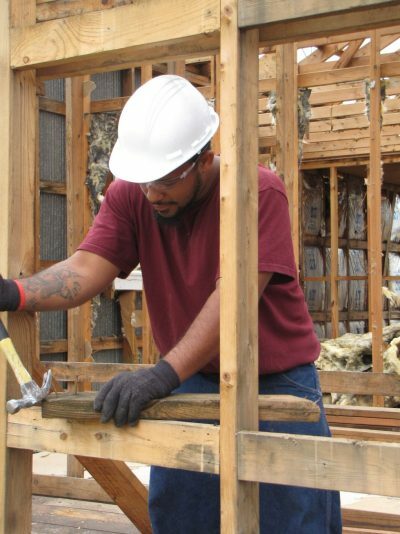 Must provide verification of skill if using chain-saws or other mechanized equipment. Other training provided as needed for specific projects. Ages: Volunteers should be 12 years old or older. Groups are welcome! Volunteers in this area enjoy working with the public. 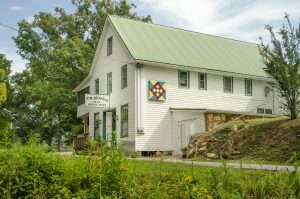 Opportunities include staffing information table at events and festivals (selling tickets, promotional items, and educating public about Mainspring), set-up, decorating and clean-up for events, driving a van or tractor for hayrides, sharing information about events via Facebook and Twitter. Volunteer opportunities also include planning, helping with registration, lunch setup, and logistics on day of events. Schedules for events are made well in advance giving volunteers the opportunity to mark their calendars early. When: April through November. Events calendar is scheduled for 2017. Training: Provided for each individual event as events are varied in nature. Other: Interest and skill in photography is useful. 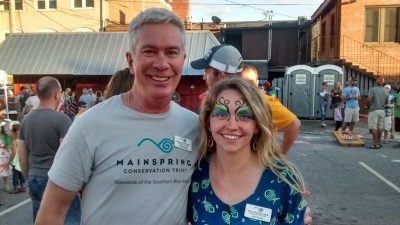 Events include eclipse event, hikes, float trips, field days, and other celebratory parties in honor of Mainspring’s 20th Anniversary. Privacy considerations of both staff and supporters are important for this volunteer opportunity. Where: In our Franklin office and occasionally at our office in Murphy. Some correspondence-type activities can be done from your home. 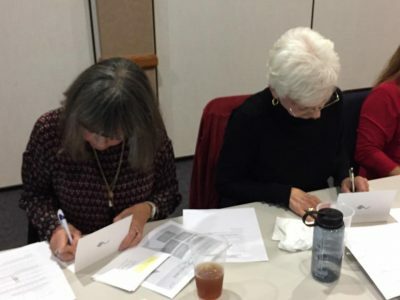 Needed: Volunteers to write thank-you notes, host the front desk on Wednesdays, answer phones and make calls, data entry, maintain scrap book, help with seasonal mailings, and deliver rack cards to various locations. 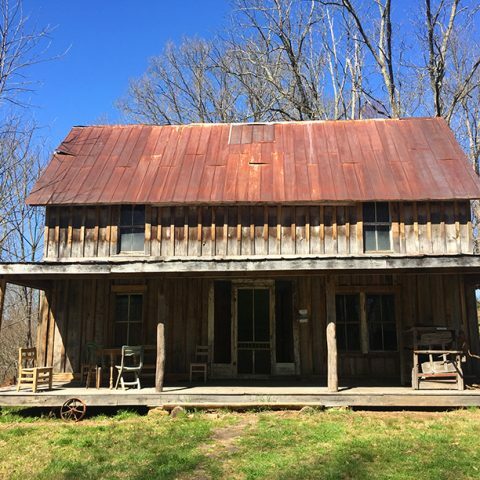 Join the Friends of Rickman Store, a volunteer group dedicated to the preservation of the Historic Rickman Store in Cowee-West’s Mill. They plan and host cultural and educational activities and keep the building open and welcoming. When: Saturdays in May – December, when events are being held at the store. Skills Needed: All types! Building maintenance, working the welcome area during events, answering questions, making snacks to serve – if you have an interest, we can find a place for you! Ages: Willing adults of all ages are welcome. 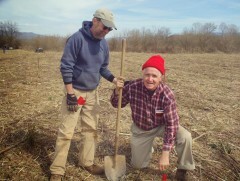 Contact: Elena Carlson and Connie Reynolds lead the volunteer efforts. Volunteers in this area work with staff on specific projects with schedules to be determined as needed. Where: Photography at events or as needed. Can be done on your own time in nature and donated for Mainspring use. Graphic design can be done from your home or at the Franklin or Murphy offices. Skills Needed: Expertise in photography and graphic design.